NEWARK, New Jersey (WABC) -- The Transportation Security Administration is putting the word out to travelers who may have left their laptops behind at Newark Airport over the past month. 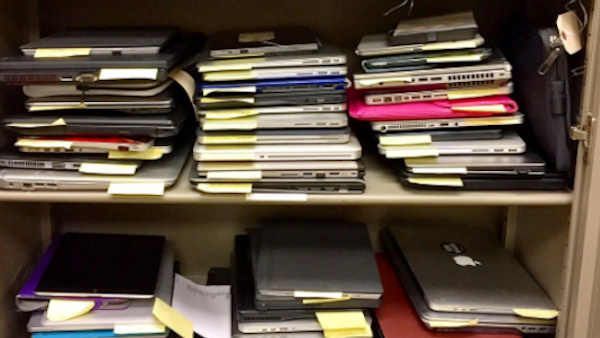 The TSA posted a picture on Instagram of the stacks of laptops in the airport's lost and found area in the month of November. The TSA is reminding travelers they can reach out to the agency if they're in search of a lost item. The TSA says the most common way laptops are forgotten is when travelers stack a bin on top of the bin their laptop is in.